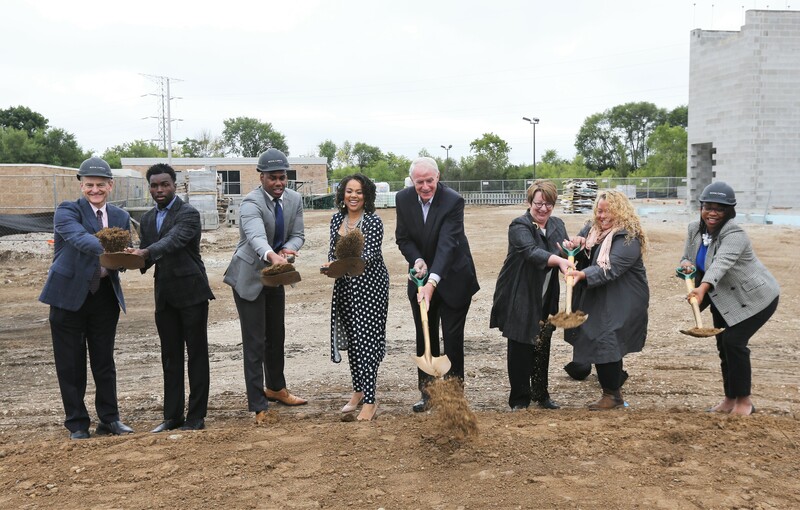 Local business and community members joined Milwaukee-based developers Royal Capital Group and Maures Development Group as they broke ground on a new library and apartment development in partnership with the Milwaukee Library Board. The groundbreaking was held on Tues., Sept. 19, 2018 to announce the newest addition to Milwaukee’s northwest side at 7717 W. Good Hope Rd. Royal Capital and Maures Development’s newest $15 million five-story mixed use development includes a new 17,000 square foot Milwaukee Public Library branch and 65 apartment units. 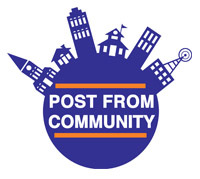 The development will provide the community with access to technology, trainings and a community room within the library. Tenants of the development will have access to several property amenities, in addition to the resources available through the library including energy star appliances, in-unit washer and dryer, central air-conditioning and free wi-fi. In addition, tenants will have access to common area amenities including a community room, fitness center, media center, outdoor reading garden and on-site management and leasing office. The groundbreaking featured remarks from Royal Capital President Kevin Newell, Maures Development President Melissa Goins, Mayor Tom Barrett, Alderwoman Chantia Lewis, Milwaukee Public Library Director Paula Kiely, Milwaukee Public Library Board President Michele Bria, and Town Bank Assistant Vice President of Business Banking Ranell Washington. Royal Capital Group LLC (Royal Capital) is a Real Estate Development and Venture firm focused primarily on the development of multifamily housing, mixed-use developments, and healthcare strategies. Since 2010, Royal Capital has performed as the primary developer and owner on over $140 million in total investment, while maintaining a healthy and industry leading performing portfolio. with the goal of restoring ownership, wealth, health, safety and pride to urban neighborhoods through holistic development.